It’s happened to you many times. The day started on the wrong foot; the boss is upset, your staff member that was supposed to finish a project calls in sick and you’ve got a presentation that you didn’t finish since you worked late into the night. As you gather your ideas for your presentation, 3 more problems occur and at this point you want to either, 1) avoid the next person that shows up at your door or, 2) you wish you could disappear to a remote island in the Caribbean with a Mojito in your hand as you swing back and forth in your hammock – both choices are not possible. Worse, for some reason you can’t focus on the presentation. What’s the problem? Brain Science tells us that your amygdala (a pair of small organs in the brain) is overheating. This is called ‘Amygdala activation’. The Amygdala is the fear center in your brain. it’s the area that prepares you eventually for ‘fight or flight’. The amygdala stores and perpetuates the anxiety response and anxiety disorders. 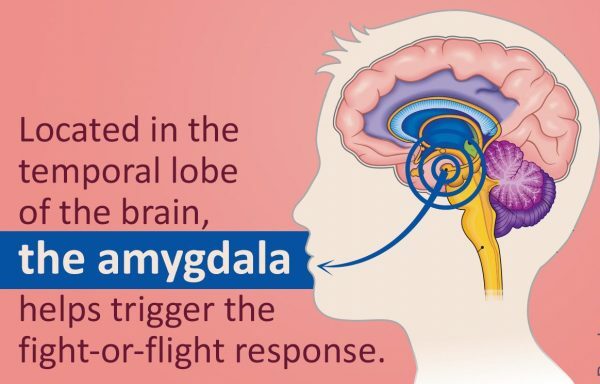 In fact, the amygdala orders your brain to go into a state of alert with its first instructions going to your unconscious mind indicating that danger is imminent. According to a Brain Science leading authority Dr. Srini Pillay “An overloaded amygdala can also explain your fatigue. You may think that you have no reason to be tired but Brain Science tells us that your unconscious brain may be absorbing the stress and fears of your daily life”. Suggestion: Take a time out! Of course, this is what your spouse or partner means when they say: “Why don’t you take a break’ when you are really stressed but I really mean it here! Take a time out for about 3-5 minutes. Quite simply stop what you are doing. Get up from your office and find a place where you can be alone, without interruptions like smart phones, Facebook and sms. Free your mind from the work issue. This place should facilitate a quiet moment for 3-5 minutes where you need to concentrate on your breathing. The idea is to focus your thinking on only one thing. When you focus on your breathing, inhaling oxygen, holding it only for 1-2 seconds (actively recognize that little moment between inhaling and exhaling) then completely exhaling the air out of your lungs, continuously focusing on your breath. While focusing on your breathing process, it is impossible to be able to think about anything else. Try it now for a few moments. As you concentrate on your breathing – you will not be able to think about anything else…pretty cool eh! This is a technique to reduce this amygdala activation. By not thinking about anything except your breathing for 3-5 minutes you are essentially setting your amygdala in a more relaxed state. You of course can’t see this happening but trust me, this is what is happening which explains why after this break you regain focus, composure and inspiration. What I want to emphasize here is that if you find yourself highly stressed, consciously ”Taking a Time out “will help you. This break isn’t meditation per se, as most forms of meditation require a quiet environment – not obvious in a work setting, an outside terrace where people smoke or a busy downtown location. Besides meditation requires more than a 3-5-minute break in many cases. Once, this technique came in really handy for me. I was organizing my partner’s first major event and we had a large bank as sponsor. The bank wanted to launch a new credit card to its affluent, premium clients. The event was targeted at this segment and consisted of a lifestyle event for 200 guests complete with an artistic ballet moment and a fireworks finale. We had organized other events before but that day “all hell broke loose”. Nothing was going well. We were behind with the catwalk set up; the designer was late; my partner had to manage 15 erratic models with make-up, hair styling and getting dressed. There was an accident on the single road leading to the venue which meant guests would either turn around or arrive every late. My client wanted an update every 10 minutes. 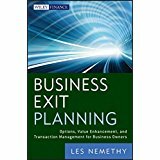 The client was also asking me why things were turning sour and my thoughts were frozen, I felt paralyzed. I couldn’t decide on easy, basic tasks although having organized countless events before. Everything was falling apart. Even my partner looked distressed and I had to show her that I was in “complete control “. I went to hide in the washroom. I told myself Paul “Get a grip…relax”; then I remembered this technique. Sure, people were looking for me 1 hour before showtime but I needed to relax in order for me to deal with all these issues. I took a Time out and after 5 minutes I regained my ability to collect my thinking as I went back to execute. In the end, it all worked out. My partner and I were sitting on needles through the whole event but our client was so happy that they wanted to repeat the event. OMG were we happy!? I’m a pretty calm guy. I can take a lot of stress. I looked back at this experience and wondered how can a calm guy like me panic and stress to a point of freezing? Then I remembered that it wasn’t my fault; it was how the brain is designed and specifically my amygdala was overly activated. My amygdala had been firing in the red zone for too long similar to the red zone of the RPM dial in your car’s dashboard when you’re changing gears at higher Revolutions Per Minute (RPMs) than what you’re supposed to when you change gears. My amygdala was over stretched – it needed to operate in the green ‘safe’ zone. Now, how will you know if your amygdala was able to reset itself? You can’t really tell in the moment right after taking the break but you may notice when you go back to that board meeting or that presentation you’re drafting, that you are now able to think coherently, more calmly and more clearly. In this moment pat yourself on the back for learning and applying this technique. The brain is an amazing tool but at times it can go into meltdown and easing off on the amygdala can put you back in shape. The best way to fix this is to ‘Take a time out’. Apply this to any issue that stresses you: Personal, business or social. Try it and witness how you can overcome a stressful situation.